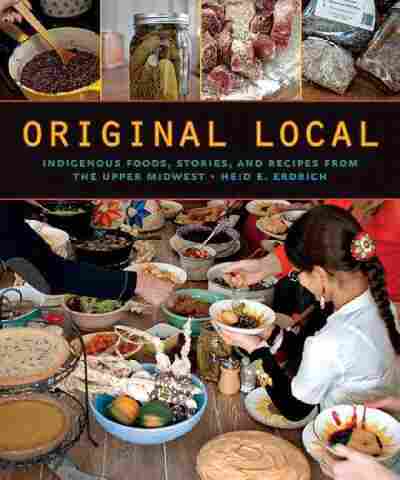 In 'Original Local,' Thanksgiving Recipes From The First Americans Author and poet Heid Erdrich writes about the food-ways of Native Americans in the Upper Midwest in the new book, Original Local. Erdrich tells guest host Celeste Headlee that "eat Local" is more than just the latest foodie trend. She explains that the practice dates back to America's earliest residents — and we're not talking about the Pilgrims. A potluck featuring Sunny Corn Muffins, Tanka Bite Bread, squash with Garlic-roasted Cranberries, and Black and Blue Bison Stew. 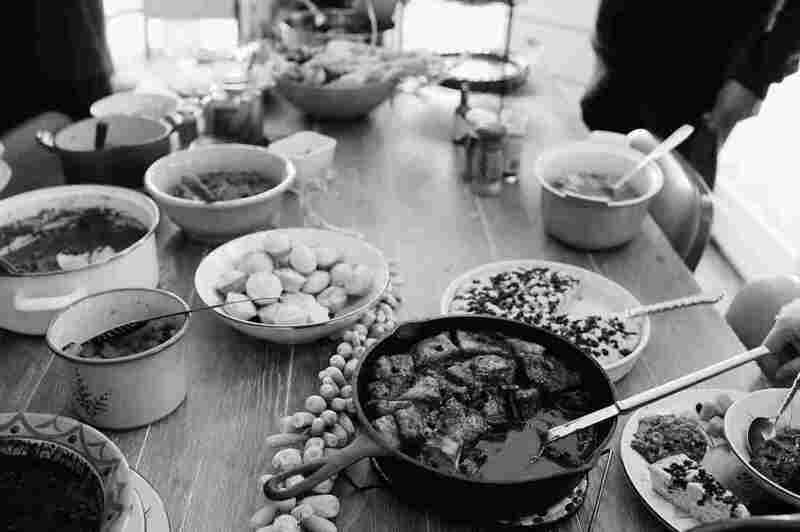 Heid Erdrich's new book Original Local is part cookbook, part memoir and part meditation on the interplay of tradition and fusion in American cooking. Guest host Celeste Headlee talks to the author and poet about the Native American food traditions Erdrich grew up with in the Upper Midwest. Erdrich is a member of the Turtle Mountain Band of the Ojibwe people, whose traditional foods include berries, wild rice, and game animals. Along the way, her family's recipes have incorporated global flavors as new family members are introduced. For example, Erdrich's sister married a man whose family was from India, and the book includes a recipe for "India Indian Grilled Corn," which is sweet corn with red chili, black pepper, salt and lemon. Sumac, which was a seasoning we used all over the Upper Midwest a lot, is found in Middle Eastern food as well...so you can go to a Middle Eastern grocery or online for a Middle Eastern seasoning of sumac. The same thing with nopales, which are considered a Mexican food, but the prickly pear cactus was eaten in the Upper Midwest. It's a matter of recognizing and seeing how some of the foods are the same. I don't like that green bean casserole that we have at Thanksgiving, you know that everybody has at what I like to call the indigenous foods holiday...So I had to find some way to approach it that would make me comfortable with it because it really does contain a lot of indigenous ingredients, the green beans being the star ingredients. Sometime in the 1970s, some Don Draper advertising genius urged everybody to make "cowboy beans" by adding barbecue sauce to canned beans to serve at cookouts. Well, that was also the era of Billy Jack, the Indian-Hippie B-movie hero who took off his socks to kick racist behinds. These tribute beans use sauce from Ojibwe restaurateur "Famous Dave" Anderson and dried meat/wiiyass. They could be made vegetarian, like Billy Jack's weeping, washed-out blonde, pacifist girlfriend. To paraphrase Billy Jack, "You're gonna take these beans and whop them right next to some gullet and there's not a dang thing you're gonna be able to do about it." These beans are for you, Billy Jack. So good, you'll go beserk! In a medium saucepan, set over low heat, warm olive oil and fry red onion until very soft, 5 to 10 minutes. Stir in beans, jerky, and stock, increase heat to medium, and let mixture bubble for 1 minute. Stir in barbecue sauce and maple, turn heat to low, and simmer for 10 minutes. Stir in sundried tomatoes and simmer 30 minutes, adding stock if mixture seems dry. This dish is done when jerky is softened (which can vary with the type of jerky) and sauce is thick. Serve hot or cold.